It’s hard to go into any furniture store these days and not see lots of pieces made from reclaimed wood. But like any trendy material, it can be hard to know what the phrase “reclaimed wood” actually means. Allow us to explain. At its core, reclaimed wood is wood that has been used before, like beams that built a barn 100 years ago or a pallet that held boxes of granola bars at your local Costco last week. This is obviously great from an environmental standpoint since no additional trees are cut down for furniture. Reclaimed wood is solid wood, which is good in terms of sturdiness, but its quality can vary depending on what type of solid wood it is and where it came from. One piece of reclaimed wood could be an old pine board from a barn in Georgia while another piece could be acacia used as railroad ties in India. And while these two woods may have similar “reclaimed” character, one is much higher quality. In our blog post about domestic vs. imported wood, we explain the issues that can cause imported wood to warp and crack when used in furniture. These same problems can happen with reclaimed wood from overseas sources. That’s why you need to understand where your reclaimed wood comes from. You also need to consider how the wood was used. 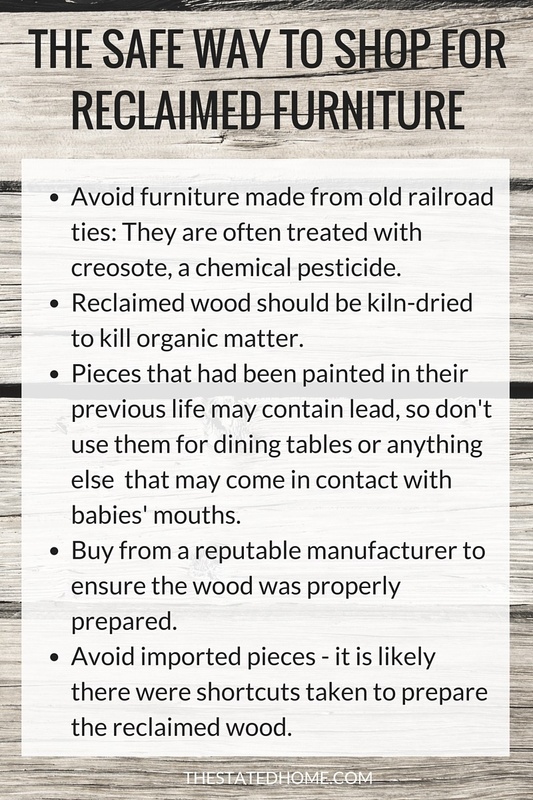 While there are some hazards to using barn wood (more on that below), there’s a bigger problem with using old railroad tie wood. That’s because it’s been treated with a pesticide called creosote. Even a nice, old, American barn wood isn’t without some issues. The paint on it might contain lead or there might be mold, mildew, insects, and dust in the wood that can affect your indoor air quality. If the wood has been properly treated, any health risks become very minimal. 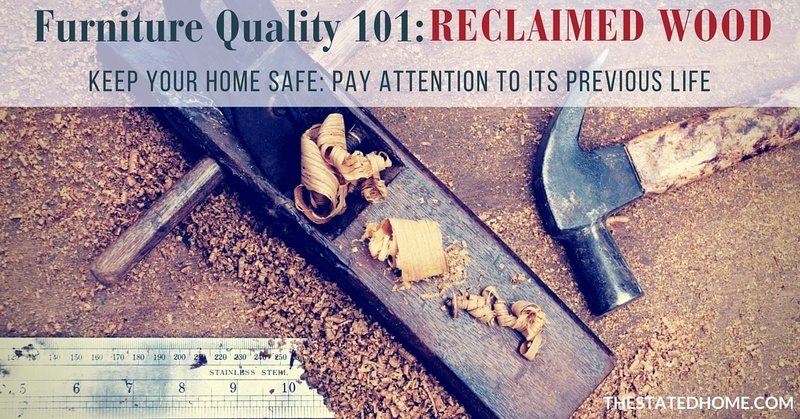 All reclaimed wood should be kiln-dried, which not only controls the moisture content for consistent furniture construction, but will also kill any bugs or organic matter (like mildew and mold) that may be present. And then there’s the issue of lead paint, which is present in most paint applied before 1970 and is in some paint applied through 1978. It’s a major concern for children under five, but only if it is flaking or they put their mouths on it. That’s why it’s important that any painted reclaimed wood furniture has been properly sealed or kept away from children. Because of the care that has to go into processing reclaimed wood to make it safe, it’s important that it’s sourced from responsible suppliers. Purchasing from The Stated Home means that we’ve done the work for you. 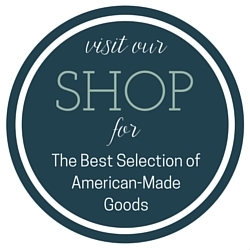 All of our reclaimed wood has been properly dried and treated and comes from the United States. Unfortunately, the same can’t be said for all companies. « Wood Used for Furniture: Where Does it Come From?